Making the Perfect Nonfiction Pitch - Write Nonfiction NOW! Let’s backtrack for a day to the all-important topic of pitches and query letters. I just received an expert blog post from agent Katharine Sands, editor of Making the Perfect Pitch: How to Catch a Literary Agent’s Eye, a collection of pitching wisdom from leading literary agents, and this one makes it well worth revisiting these topics one more time this month. Plus, not only does she offer some great information about pitching, she also discusses some of what goes on behind the scenes when agents and acquisition editors read our queries. Additionally, she offers insight into the pros and cons of self-publishing a book and then pitching it to an agent or publishing house, and tells us some important facts about becoming a published nonfiction author. In a nutshell, pitching is about finding the right words and getting the right person to hear them and read them. Often referred to as “the elevator speech,” the term has two meanings: 1) You might be on the elevator and happen to meet an agent (or producer), so you want to have a pitch perfected so you can “pitch” your project. 2) You have something to say that gets you a “yes” response, and the “yes” means your manuscript or script gets read, or you may be given a card and an invitation to follow-up with the person you have just met—all accomplished in the time in takes to ride up or down in the elevator. Why is pitching your work so important? 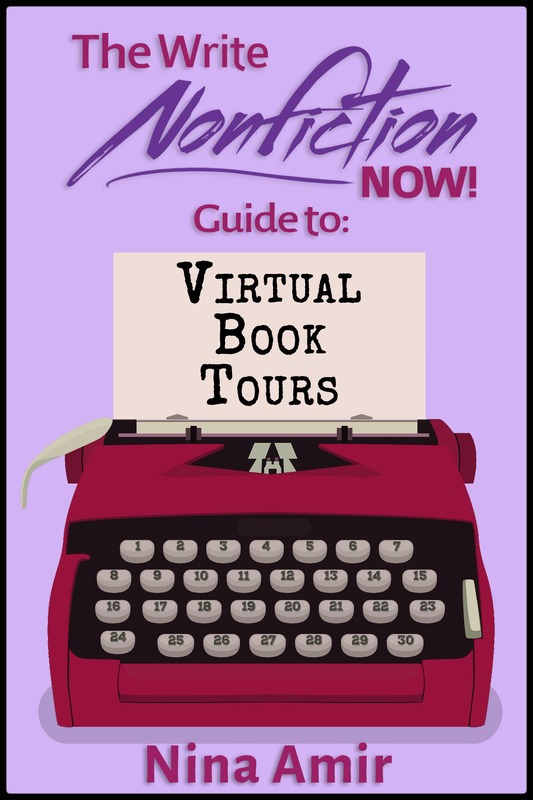 Because whether it is for nonfiction, boomer non-fic, chick non-fic, hen non-fic, reality fiction, faction, nonfiction, stunt memoir, creative memoir, fratire or femoir…it’s the pitch, and nothing but the pitch, that gets an agent’s attention. Yes, agents are looking to connect with your work. We read your pitch to zero in on the Zeitgeist, to seek sales engines, to identify the salient points for the primary audience and the ideal, intended audience, to be engaged by the all-important voice, and to determine the answer to two pressing questions: Why you? Why now? We deconstruct pitches with the precision of surgeons. We diagnose the project to make a prognosis for the author’s potential. We only can take in elements, spoonfuls of information. A pitch is not the beginning of your book; it is the introduction to your potential as an author. The industry is very much in transition. LA-based agents have taken the term literary manager to cover the new roles agents play. Agents are acting, in effect, as producers, and taking a more hands-on role in developing an author for the media and in developing the author’s brand. And agents source talent everywhere. I have contacted writers based on reading airline magazines, blogs, ad campaigns, brochures, and twitterati. Today content from a book is used online, in podcasts, in products, in digital media. From the agent’s point of view, it helps to proudly introduce a client with an e-mail of the author-to-be that includes an accompanying YouTube video or footage demonstrating the potential author’s expertise. Showing the author in action makes a huge difference in breaking in a new writer. I like to stress how authors will succeed with their books through promotional possibilities and personality. Today agents want clients who offer a full package—writing talent plus promotional efforts. Agents are looking for people who can shine in the spotlight not slink in the shadows. When pitching, remember this guiding principle: Agents are looking, first, for a reason to keep reading, then for a reason to represent you. You want your pitch to give crystal clear answers—fast. Imagine you are Atticus Finch arguing for the life of an innocent. Because you are. From the agent’s point of view, your query letter is a plea for life. To get an agent to read past the first few paragraphs your letter must really hit home. A perfect pitch is one that shows talent, content, quality, and ingredient X. What would you say if you were on Oprah? What would you want your listeners or your readers to know about your work? It is always best to lead with your strongest points first. Imagine you have five minutes on TV to talk about your book. What are the most engaging, intriguing, seductive, or powerful messages or narrative arcs you want to get across? For a narrative or memoir, think of your pitch as a movie trailer—imagine your setting, your world, your universe for someone who has not lived in it before. You, the writer, are a camera. Put the camera on you, but so we can see…Have you told a story arc? “It starts here, ends there.” A book is a ride, and memoir needs to read as compellingly as fiction. Use the golden rule of pitching: Show, don’t tell. When you hold out a promise to a reader, you want to use the pitch to deliver enough of the flavor of the book to whet the reader’s appetite for more. Remember your book is on trial. Indeed, an acquisitions editorial meeting is a trial for life for your work. Offer evidence, statistics, sources of recent articles. Point out why readers want this book. Argue your case. What are the benefits, insights, experiences or observations for the reader? What do I do differently after I read your book. What would I not understand or figure out without you? You compete with all of the other information sources: the Internet, other authors, sources and literati. How are you better or different? Many nonfiction writers consider self-publishing. Self-publishing works for you in some ways, but against you in others. If you have a means of promoting and selling your book through your own marketing efforts, you might accrue numbers of books sold (and better profits than being published by a trade publisher). You might be reviewed, get media attention and so on. If you show a strong track record, a larger entity might want to take the project to the next level and re-publish or distribute the book. Also, the book will quite possibly be the text exactly as you wrote it—no editorial changes whatsoever (which appeals to some authors). A less successful route involves self-publishing and then shopping the book to agents, because several things kick. 1) Your ISBN number and sales record are tracked; the numbers will not be as high as a leading publisher would like to see. 2) A book from 2002 looks like what the Japanese call “old cake.” It does not look as fresh or current as it might have done five years ago. 3) I presume 58 agents have declined the project prior to self-publishing. Even though we know it may well be untrue, this is a pop-up thought in most agent’s minds. 4) Part of an agent’s job is to locate and secure a publishing contract, which always includes the copyright clause. If you have obtained a copyright and ISBN# number, it signals you might be difficult to work with—apropos the agency input and the editor’s suggestions, which would change the text necessitating a second copyright. We cherry-pick our clients and want things to progress smoothly and happily for all parties. 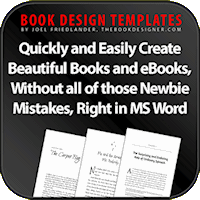 The previously self-published client brings many complexities to the table and might prefer to be in complete charge of their book, which self-publishing offers but traditional publishing does not. 1) Authors are paid a book advance by publishers. Money due from your publishing contract—advanced to you from the “book’s bank account” the publisher sets up for you (called the advance against royalties)—will be paid to you in two or three payments, possibly with the last third on publication. If anything comes up such as a change in delivery date or cataloging the title, your expected advance payment (which you have actually earned) may be delayed. Royalties are paid out twice yearly. If your advance is modest you will expect to earn your income when the book is in royalty. This may take longer than you’d like. It may take time to create buzz, build your author platform, and generate word-of-mouth marketing before you see the title perform. 3) Book sales are unpredictable. Your book advance will be based on the profit and loss tabulations, research, surveys, bookspan searches that are used to guestimate what the book will earn. If the book advance (or printing) exceeds the sales—no matter how many copies are sold, no matter how well reviewed—the book costs the publisher, and this impacts your ability to publish future works. 4) Today’s publishers want buy-back commitments. 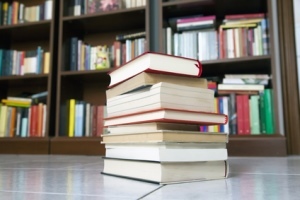 Authors who buy and sell copies of their books outside of trade channels through grassroots efforts, websites, professional organizations, specialty and retail catalogs, or corporate gifts as deep-discount copies, for example, are increasingly important to publishers. This can mean investing personal monies up front before recouping through sales of the book. 5) Your author income is separate from your writing dreams. Income that allows you to quit your day job may come in unexpected and circuitous ways, not in the way you anticipated. You may find yourself giving workshops and seminars or participating in readings or academic panels. Many authors are asked to teach and find new careers in academe. 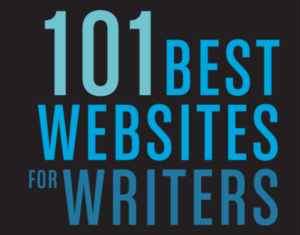 Authors often become go-to girls or go-to guys as talking heads or media experts. I see authors make themistake of investing only in The Big Book. 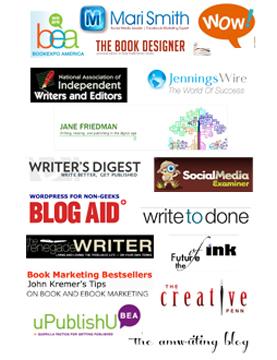 Other writing outlets serve to develop you as a writer and build your platform as an author, too. 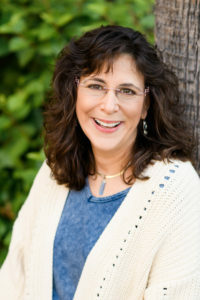 A literary agent with the Sarah Jane Freymann Literary Agency, Katharine Sands has worked with a varied list of authors who publish a diverse array of books. She represents a wide range of clients who publish a diverse array of books. Nonfiction highlights include: The SAT Word Slam; Taxpertise: Dirty Little Secrets the IRS Doesn’t Want You to Know; The House Handbook; Hands Off My Belly: The Pregnant Woman’s Guide to Myths, Mothers and Moods; The Complete Book of Teenage Plastic Surgery by Dr. Frederick Lukash, XTC: SongStories; Under the Hula Moon (as co-agent); The Tao of Beauty: Chinese Herbal Secrets to Looking Good and Feeling Great by Ford model Helen Lee; Make Up. Don’t Break Up by five-time Oprah guest Dr. Bonnie Eaker Weil, Give Me That Online Religion by Dr. Brenda Brasher; Elvis and You: Your Guide to the Pleasures of Being an Elvis Fan; The New Low-Country Cooking by Chef Marvin Woods, The Compete Book on International Adoption: A Step-by-Step Guide to Finding Your Child by Dawn Davenport; CityTripping: a Guide for Nighthawks, Foodies, Culture Vultures, Fashion Fetishist, and the Generally Style-Obsessed by Tom Dolby, among many others. Nice post, good looking website, added it to my favorites.